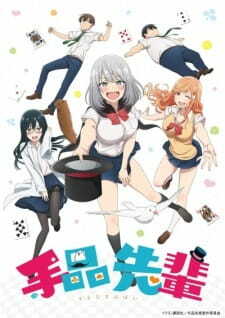 Our MC finds out that his school requires him to join a club and during his reluctant search he stumbles upon Tejina-senpai attempting magic tricks in her clubroom. Tejina-senpai has massive stage fright however and so now that she has an audience her attempts are simply comedic. The studio is Liden Films.